FingerTec has compiled a list of error messages that occasionally occurs during the TimeTec installation and have documented the solutions to the problems. Resellers are encouraged to take note of these problems and provide support when necessary. Understanding the problems and their solutions can reduce support lead-time, which could then translate to more satisfied customers. Click Control Panel > All Control Panel Items > Administrative Tools > Internet Information Services (IIS) Manager. 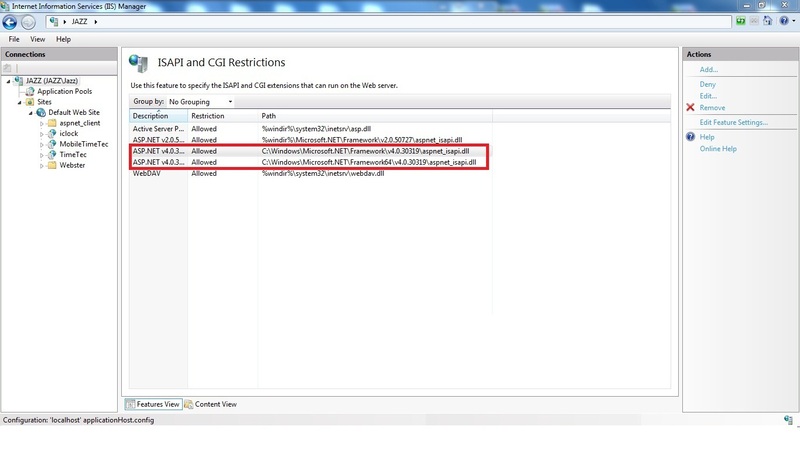 Click on your computer name and double click on ISAPI and CGI Restrictions. At the ISAPI and CGI Restrictions menu, set the ASP.NET.4.03… as Allowed. Error 2: The Open/Download file prompt appears when I click on the TimeTec page. Click Control Panel > Administrative Tools > Internet Information Services (IIS) Manager. At the IIS Manager, click on iclock. Right click the iclock icon and select Properties. 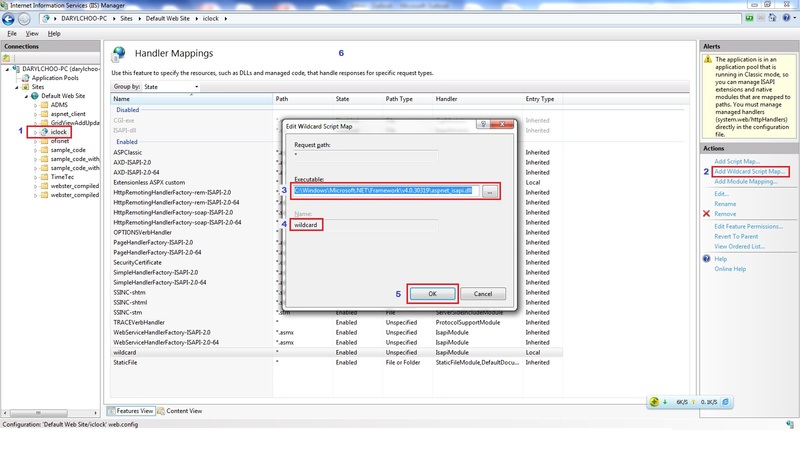 In the Mappings tab click Add. 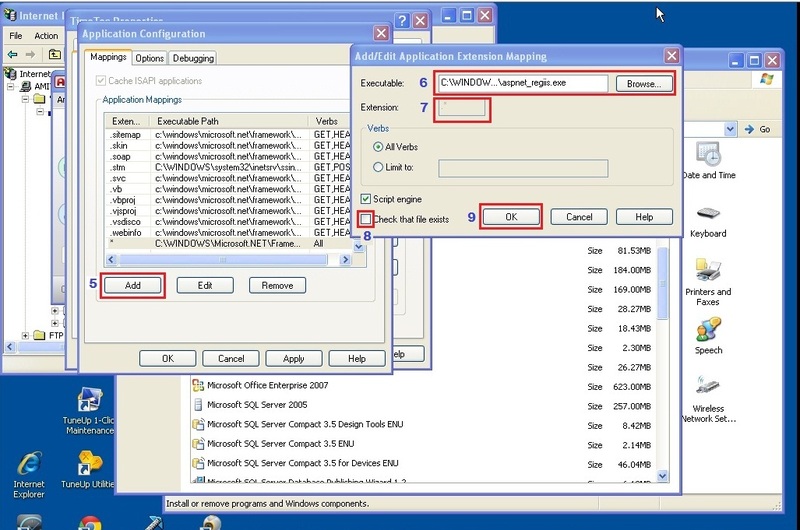 At the Add/Edit Application Extension Mapping, you may browse or insert the location of the ASPNET.regiis.exe file (Select Path C:\Windows\Microsoft.NET\Framework\v4.0.30319\ ASPNET.regiis.exe). Insert . * for the Extension. Uncheck the tick box Check that file exists. Select Add Wildcard Script Map in the Actions tab.